Like 20th-Century antiques? Raccoon Forks Trading Company does, too! We like the era and its one-of-a-kind, hard-to-find styles so much we constructed a new room devoted solely to our carefully curated collection of 20th-Century antiques. From the rugs on the floor, to the paint color on the walls, to the items on display, a visit to our 20th-Century room will transport you back in time. 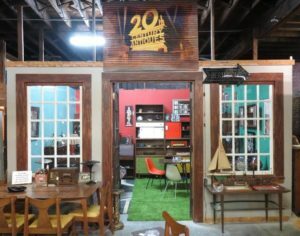 The 20th-Century room features Mid-Century Modern, Art Deco, and American Arts & Crafts movement furniture, decorative items, collectibles and more. We are pleased to announce that the Adel Partners Chamber has nominated Brick Street Bakery for its Business of the Year award! "Brick Street Bakery is honored to be nominated for Business of the Year," said Bakery manager Peg DeLoriea. "We enjoy serving and being part of the wonderful community of Adel." The Adel Partners Chamber will select the winner at its Celebrate Adel annual dinner on March 27. 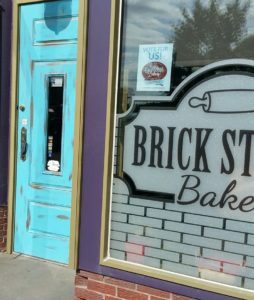 Brick Street Bakery, located on the west side of Adel's historic courthouse square, opened in 2016 to meet the growing demand for baked goods and pastries from Brick Street Books & Cafe. The Bakery makes doughnuts, muffins, scones, breads, pies and cookies fresh each day, and, as a Raccoon Forks small business, provides job opportunities and training for individuals with barriers to employment. The annual Chamber dinner event also features the Citizen of the Year award and an evening of sampling food from the Chamber's membership, which will include Brick Street Books and Cafe providing samples of our delicious cheeseburger soup. Be sure to stop by Raccoon Forks Trading Co. during Vintage in the City on Saturday, March 24 from 10 am to 6 pm. 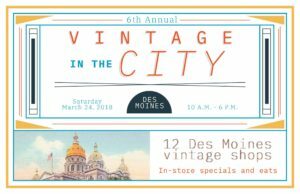 Vintage in the City is an annual event to support local brick and mortar shops that have fantastic mid-century, retro, industrial, architectural salvage, repurposed, primitives and vintage items. RFTC and fellow store owners are working together to bring you the best of the best in and near Des Moines. The one-day shop hop is a fun-filled day of shopping with treats, in-store specials and fantastic found items. Please click here to see a map of participating stores, and here for more information. Make sure to put a stop at RFTC on your Vintage in the City itinerary!